For over 75 years, we have developed and manufactured the Ceramic Gas Tube Surge Arrester (Gas Discharge Tube or GDT). Sankosha gas tube arresters protect personnel, equipment and circuitry from abnormally high voltages caused by lightning or electrical transients. Our surge protection devices have well defined surge-limiting characteristics enabling them to spark over (or breakdown) when the abnormal voltage on a line reaches a specific level. When sparkover occurs in the GDT, the surge is redirected to earth. Sankosha's gas tube arrestors are known for their quality. Throughout the world, products from our factories provide protection for equipment and personnel. Sankosha has been selling gas tube arresters in the U.S. since the seventies and Sankosha U.S.A., Inc., the company's 100% owned subsidiary, was established in 1987 to better service the growing market in the Americas. Different applications require different surge suppressors and Sankosha provides gas tubes to meet every need. Consumer electronics, modems, satellite, computer, CATV/Broadband, industrial, and telecom circuit protection are just a few areas that utilize our gas discharge tubes. Sankosha's gas discharge tubes are extremely durable and provide the industry's best impulse life specifications. They feature high surge ratings with very low capacitance and provide excellent response to fast rising transients. Sankosha gas discharge tubes are available in axial leaded, radial leaded, surface mount, and special packages. High voltage gas tube models like the Y08SV-312B are designed for power supply applications where HiPot testing is required, and we also manufacture very small gas tube arrester models for surface mount applications where real estate is at a premium. Sankosha's GDT's come in both two and three electrode configurations. Discharge voltages from 75V to 6000V are available. In the 1970's, Sankosha developed SAN-EARTH�, the original conductive concrete ground enhancement material. SAN-EARTH M5C is a fine powder used to build highly effective environmentally safe permanent grounding electrodes. SAN-EARTH M5C is manufactured in accordance with Sankosha's ISO 9001 Quality Standards. Independent third-party testing confirms that SAN-EARTH M5C meets IEC Standard 62561-7 (�Lightning Protection System Components (LPSC), Part 7: Requirements for Earthing Enhancing Compounds�) which specifies the requirements and tests for earthing enhancing compounds producing low resistance of an earth termination system. SAN-EARTH M5C offers many advantages over bentonite. Wet or dry, as a solid or a powder, SAN-EARTH M5C is conductive. Bentonite, known by names like Wyo-Ben or Lynconite II, shrinks dramatically and becomes an insulator as it dries. SAN-EARTH M5C is easily installed by spreading the dry powder in a strip over and around a conductor in a horizontal trench. SAN-EARTH M5C absorbs moisture from the surrounding soil and hardens to become a conductive solid. The surface area of the electrode is dramatically increased resulting in significant reductions in both resistance to ground and surge impedance. SAN-EARTH M5C offers important advantages over chemically charged electrodes and other ground enhancement materials. Placing 18 bags of SAN EARTH M5C results in a resistance four times lower than would be achieved with four chemically charged ground rods and costs 65% less. SAN-EARTH M5C sets up much better than other similar products so less material is required. One bag is enough to install a two-foot wide ten-foot long electrode. Other manufacturer specifications require three times as much material. Corrosion is reduced by a factor of ten in electrodes that are encased in SAN-EARTH M5C. Safe, economical and permanent, SAN-EARTH M5C is the best ground enhancement material solution for both equipment performance and personnel safety. Sankosha's RJ45 LAN SPD provide reliable surge protection of GigE (1000Base-T), 100Base-TX, 10Base-T and Power Over Ethernet (PoE) equipment. All four compact Local Area Network modules are equipped with RJ45 Connectors and can be used as stand alone surge protection devices. They are also designed with integrated clips for easy installation on a standard 35mm DIN rail. 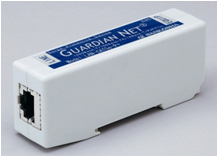 The LAN-CAT5e-P complies with IEEE Standard 802.3af combining 1000Base-T data transmission speed with reliable PoE (Power Over Ethernet) transient protection. It also complies with the direct lightning impulse 10/350�s 2.5kA waveform requirements of the Category D1 Test under IEC 61643-21. The LAN-1000IS insulates equipment from lightning induced or other power surges without the need for a ground. The LAN-1000BO incorporates isolation transformer technology for back-up protection during ground system failure. Sankosha's Coaxial Surge Protection Devices (SPD's) provide heavy duty protection from surges caused by lightning or other transients. Radio and wireless telephone communication equipment is particularly vulnerable because antennas are typically located in areas where the probability of exposure to lightning related surges is high. Damage caused by direct strikes to the antenna itself or induced surges through the grounding system is prevented when coaxial protectors are in place. These SPD's are well suited for Broadband, CATV, GPS and cellular applications. Gas Discharge Tube equipped coaxial surge protectors are ideal in high frequency transmission applications due to their low capacitance. When confronted by a fast rising transient voltage, the protector sparks over temporarily and diverts energy away from sensitive equipment. Damage to transceivers in remote locations is avoided. Coaxial SPD's are easily installed in series with the antenna line.